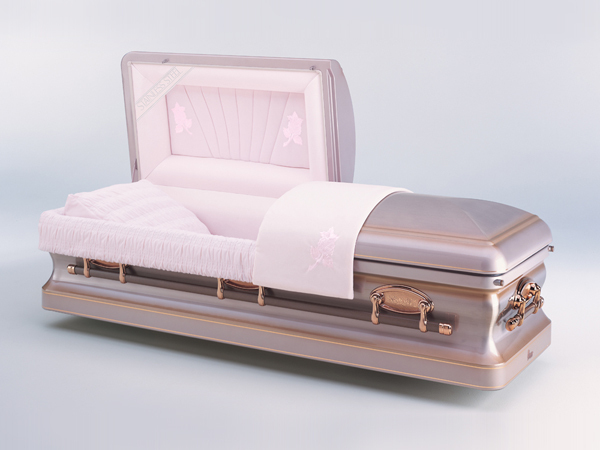 One of the more popular choices today is personalization with caskets, vaults and other products. 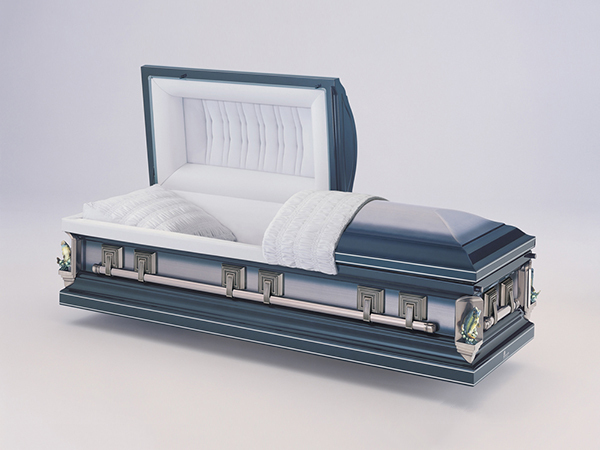 With caskets, the manufacturers have developed interchangeable corner styles, personalized cap panels, and memory safes to give families more custom choices. 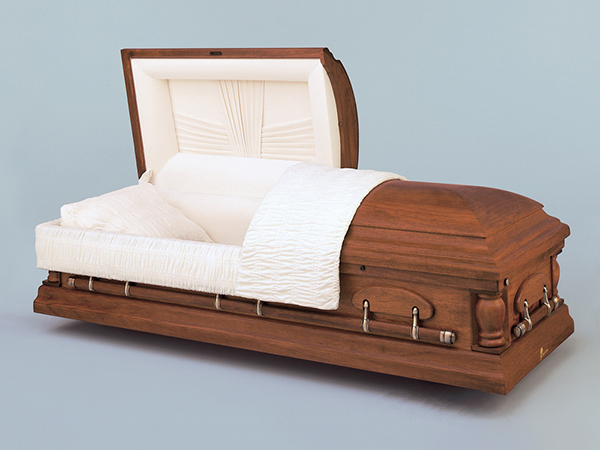 This enables someone’s casket to truly reflect their lifestyle or hobbies. 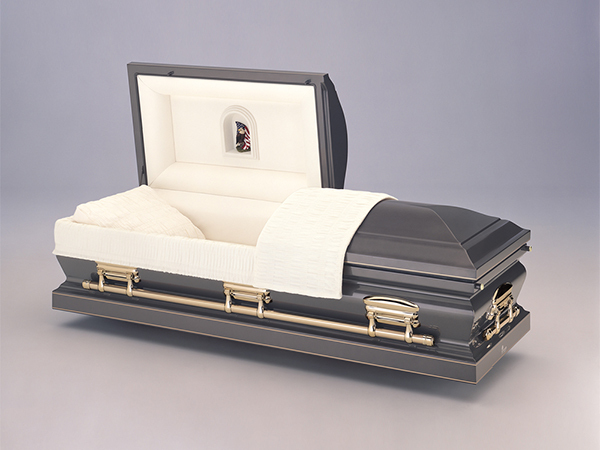 Wilbert Vault Company has integrated the Life’s Reflections and Life’s Legacy program which displays pictures, verses, and even scenes onto the top lid of their protective vaults. These lasting tributes are available on many of the Wilbert vaults, and come at no extra charge. 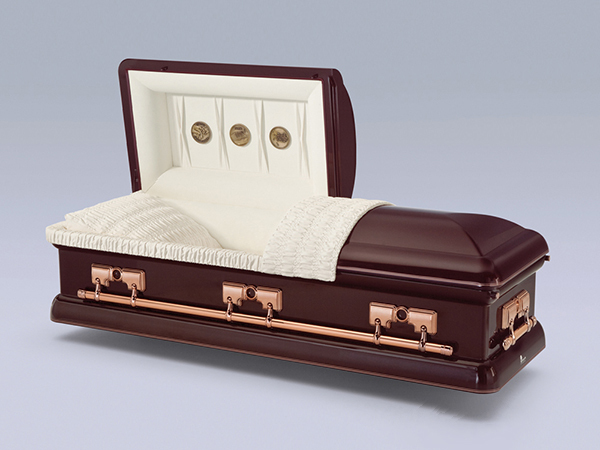 Cremation Urns come in many choices of colors, materials and personalization options. 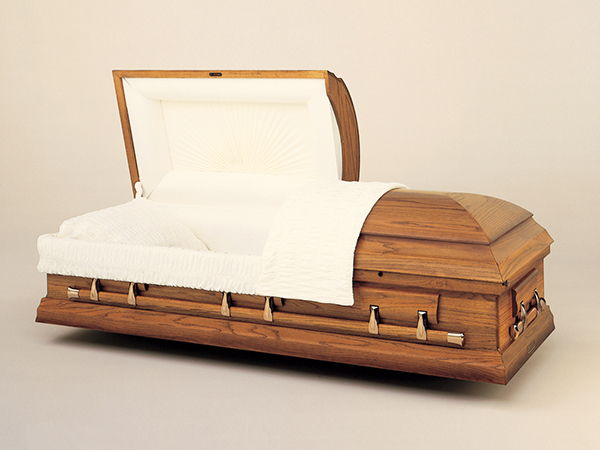 Some are hand-crafted for display; others are constructed for in-ground burial. 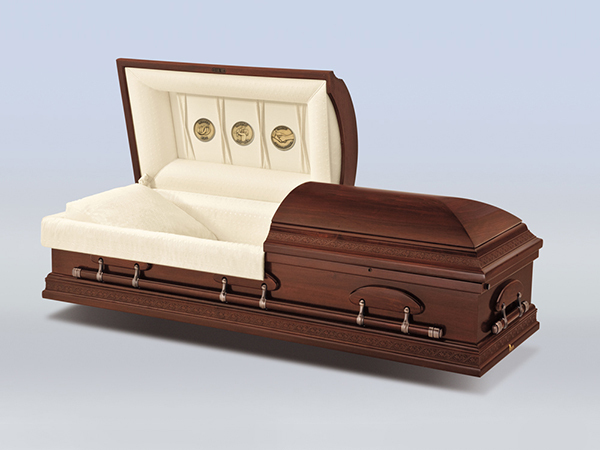 Scatter urns are also available. 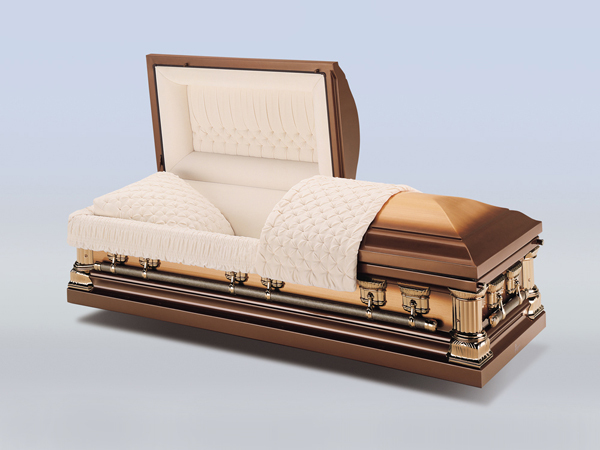 Keepsake urns offer a unique and personal way to keep a portion of their loved ones ashes either among family members or before they are buried or scattered. We also offer a wide range of memorial products such as picture bookmarks, Thomas Kinkade register books, and Video Tributes. We are now able to take a picture of someone and put it on a service or memorial folder, a laminated bookmark, or a wooden memorial plaque. We also personalize a loved ones service through a video tribute filled with pictures and music celebrating a person’s life. 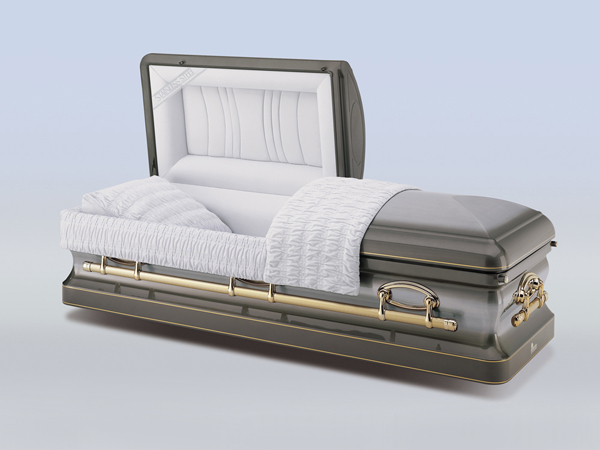 We use your pictures and transform them into a lasting remembrance of your loved one's life. 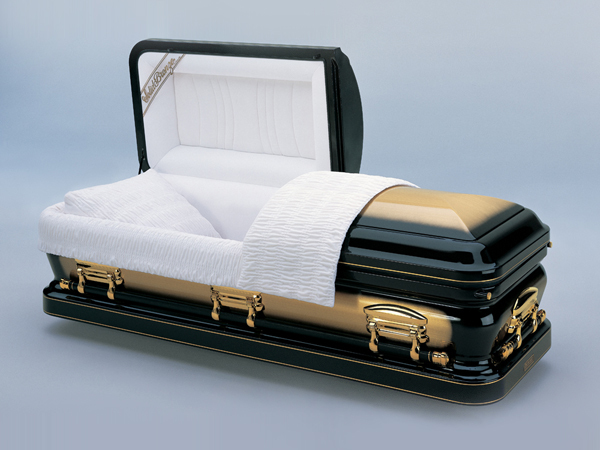 At Carl J Mowell & Son Funeral Home, we understand that every person is unique. 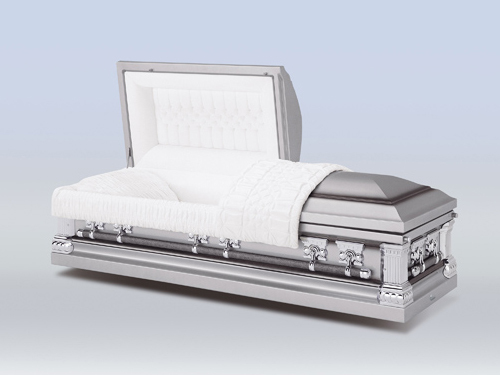 In that, we try our best to provide every family with choices of caskets, urns, and vaults which reflect each individual, stay within your budget, and help celebrate each life. 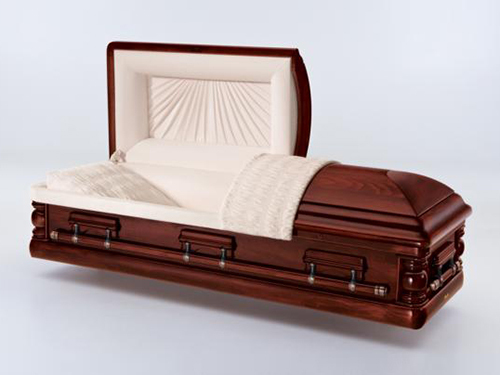 Here are some selections of caskets and vaults from which to choose. Please know this is just a small sample of what is available to you. 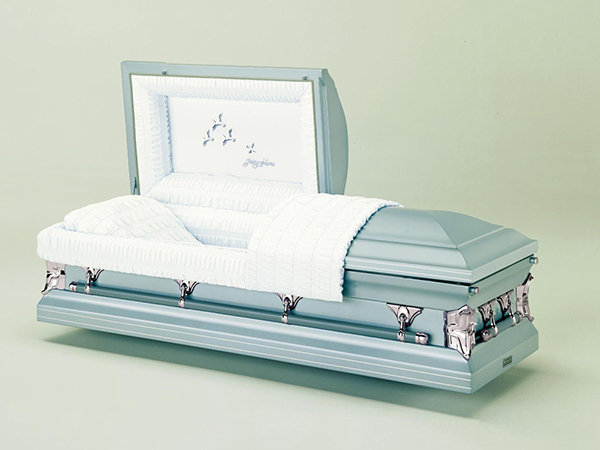 Please talk to one of our funeral directors, and he can show you many different selections to meet your needs. 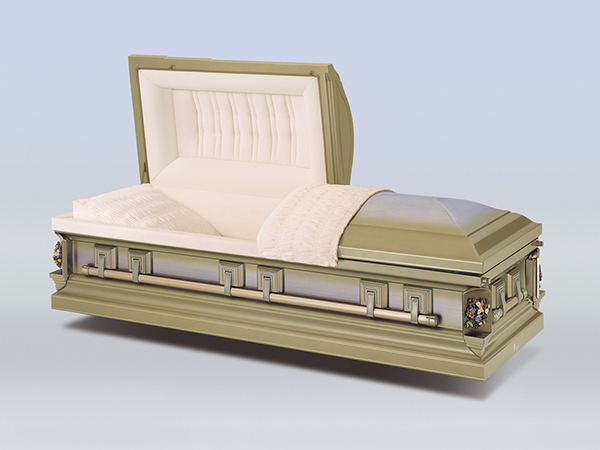 To download and view a complete catalog of cremation urns and keepsakes, click here. 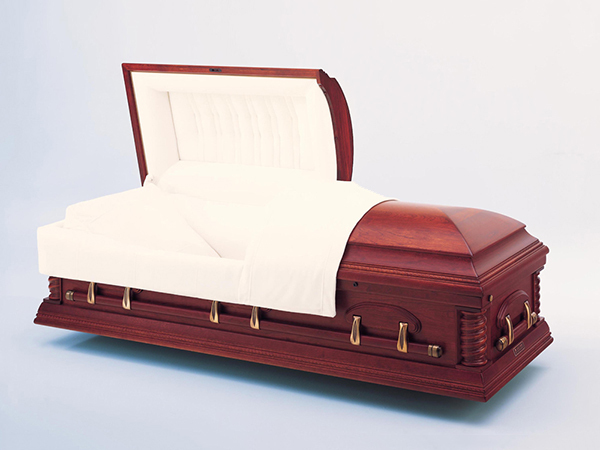 Features: Memorial Record System, Memory Safe & Living Memorial Program. 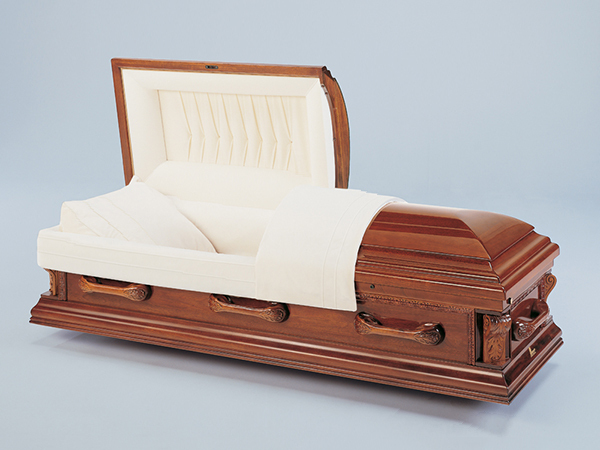 Traditional Mahogany with an Eggshell Velvet Interior. 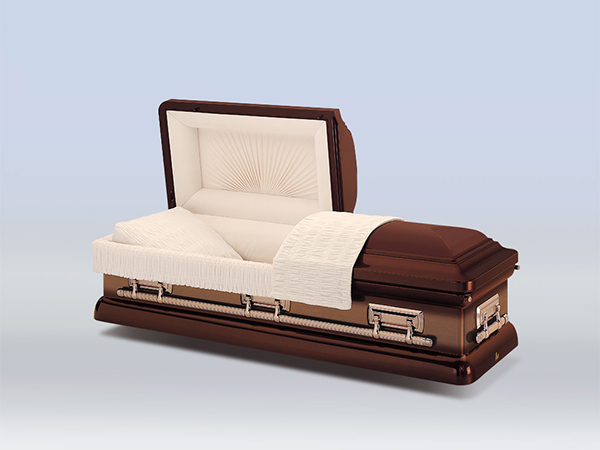 Features: Memorial Record System, Memory Safe, LifeSymbols Corners & Living Memorial Program. Features: Memorial Record System & Living Memorial Program. Traditional Cherry with a Champagne Velvet Interior. 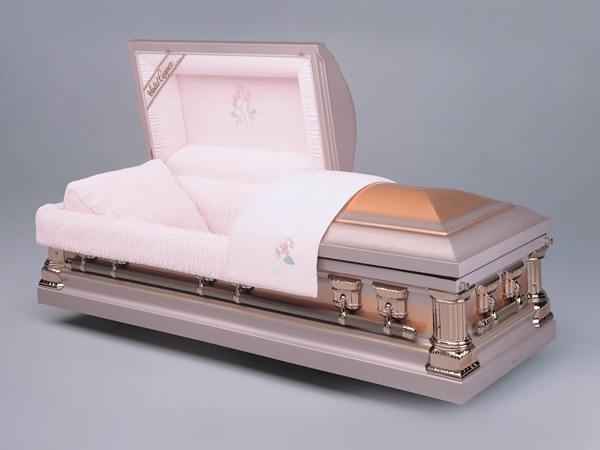 Features: Memorial Record System, Memory Safe, Life Symbols Corners & Living Memorial Program. Traditional Pecan with a Champagne Velvet Interior. 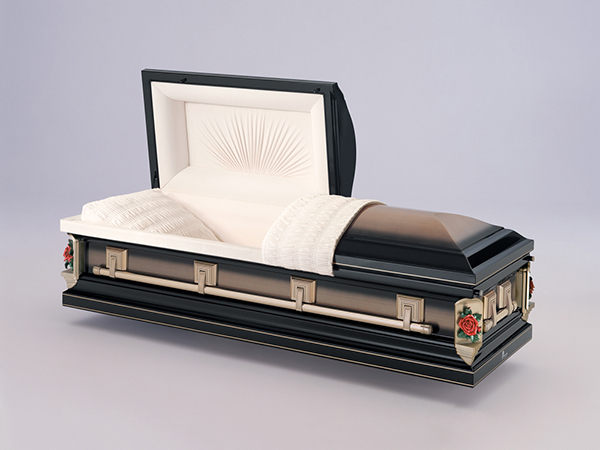 Features: Memorial Record System, Memory Safe, LifeStory Medallions & Living Memorial Program. Traditional Solid Oak with a Rosetan Crepe Interior. 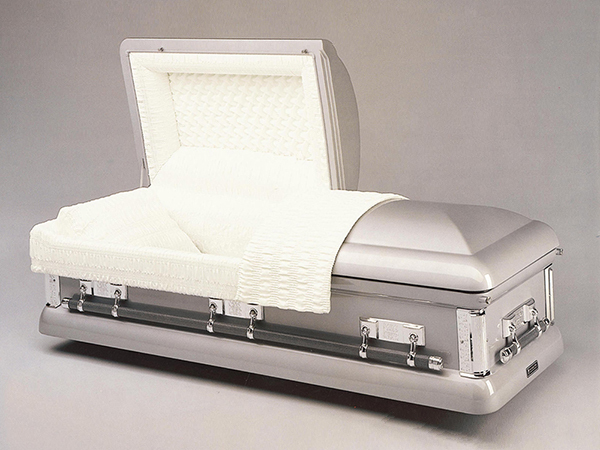 Features: Memorial Record System, & Living Memorial Program. 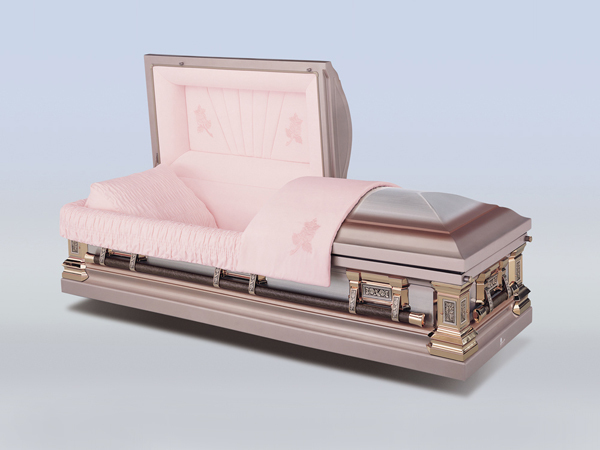 Features: Memorial Record System, Personalized Cap Panel & Living Memorial Program.